Here’s some news that you do wanna know: British rockers Arctic Monkeys have announced an Australian tour. In 2019 the indie rockers will be Down Under for a four-show, all ages tour in February and March. 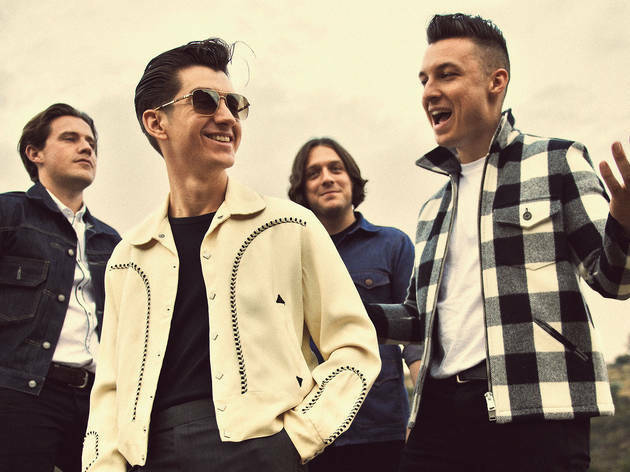 The seven-time Brit Award-winners will be touring Australia off the back of their latest studio album, Tranquility Base Hotel and Casino. Debuting at number one on the British charts, the new album leaves behind the Arctic Monkeys' garage rock riffs for a suave, interstellar vibe. Unsurprising, given the album tells the story of a fictional resort on the moon. Joining the band on their Australia and New Zealand tour are longtime collaborators Mini Mansions. The Arctic Monkeys will be in Sydney on Friday, March 1 at Qudos Bank Arena. Arctic Monkeys subscribers and Telstra customers can access pre-sale tickets on Tuesday, October 30 while Frontier Touring members can buy pre-sale tickets on Thursday, November 1. General tickets sales start Wednesday, November 7 at 2pm. Want to star in your own all ages tour? Sing your heart out at the best karaoke joints in Sydney.